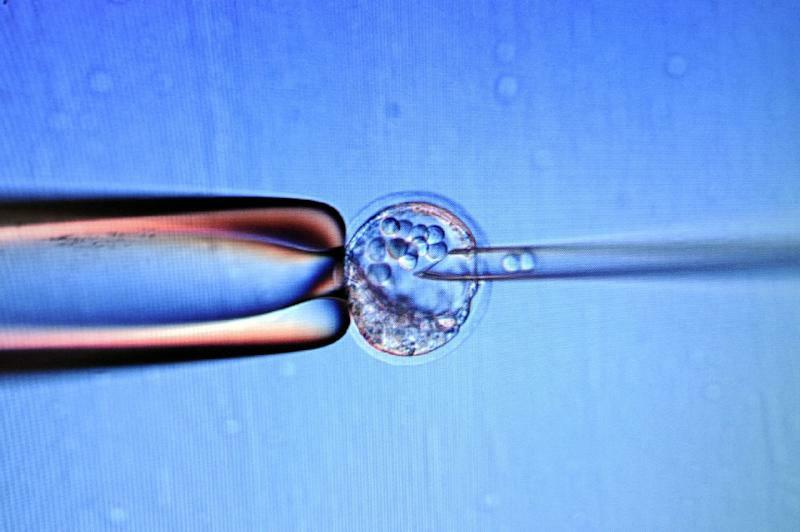 Miami (AFP) - Global scientists on Thursday renewed calls to halt controversial research to genetically edit human embryos after a Chinese team published details of a breakthrough attempt in this new frontier in science. First reported by Nature News on Wednesday, the paper by Junjiu Huang, a gene-function researcher at Sun Yat-sen University in Guangzhou, and colleagues appears in a little known online journal called Protein and Cell. In the paper researchers describe how they changed the genomes of embryos obtained from a fertility clinic. The embryos could not have resulted in a live birth because they had an extra set of chromosomes after being fertilized by two sperm. Researchers "attempted to modify the gene responsible for beta-thalassemia, a potentially fatal blood disorder, using a gene-editing technique known as CRISPR/Cas9," said the report in Nature News. The researchers injected 86 embryos and waited 48 hours for the molecules that replace the missing DNA to act. Seventy-one embryos survived, and 54 of those were tested. Researchers found that of those only 28 were "successfully spliced, and that only a fraction of those contained the replacement genetic material," said the report. "If you want to do it in normal embryos, you need to be close to 100 percent," Huang was quoted as saying. "That's why we stopped. We still think it's too immature." Even more concerning were the "surprising number" of unintended mutations that arose in the process, at a rate far higher than seen in previous gene-editing studies using mice or adult human cells. Such mutations can be harmful, and are a key reason for concerns raised in the scientific community ever since rumors of the Chinese team's research began circulating earlier this year. Critics say the science could have unknown effects on future generations, and could open the door to a new era of eugenics by altering humans so they carry desirable traits. In reaction to the report, the Alliance for Regenerative Medicine renewed its call for a halt to the research, according to an email sent to AFP. "Given the significant safety and ethical implications of modifying the DNA of human reproductive (germline) cells, this research is highly premature," said the statement from the international organization which represents more than 200 life-sciences companies, research institutions and advocacy groups that are focused developing therapeutics, including those involving genome editing. "It is unacceptable to pursue this kind of research at this time. We are calling for a voluntary worldwide moratorium on this kind of research to allow for rigorous transparent legal and policy discussions and continued public debate regarding the science, safety and ethics of modifying human embryos." At least four other Chinese research teams are believed to be pursuing similar studies, the Nature News report said. When rumors began circulating earlier this month about the impending publication of the study, some scientists began calling for a halt to the research, while others argued that basic research should continue, to see if it may one day help cure certain diseases and disorders. "Let's stop that work on human fertilized embryos -- a very limited aspect of this -- until we have had a chance to talk about it," said Edward Lanphier, chief executive officer of Sangamo BioSciences, in an interview with AFP. "This issue of directed evolution has been robustly debated, and while one that we have put to great use in corn crops and in laboratory animal models, there is a longstanding consensus that that is not something we want to do in the human species." The International Society for Stem Cell Research also said it is "too soon to apply these technologies to the human germ line, the inherited DNA, in a clinical setting, and any research involving the use of human embryos and reproductive cells should be undertaken with care and in accordance with strict ethical guidelines."